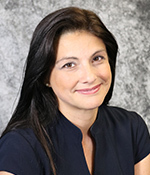 Ms. Suarez also gained extensive clinical experience from working with child and adult patients admitted to the Jackson South Hospital psychiatric unit and later through her work with children and families at the University of Miami Institute for Individual and Family Counseling. Grettel earned a M.Ed. in Marriage and Family Counseling from the University of Miami and a B.A. in psychology from Florida International University.